Monkey Puzzle is a relative of Norfolk Island pine. The wood has the same characteristic pine color though it is not a member of the pine family. 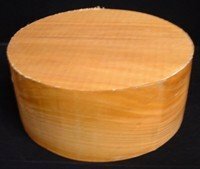 It is an easy turning wood to work with and a great wood for beginners or for dying. 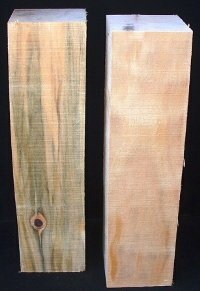 The amount of spalting will vary with each blank. SPINDLE BLANKS ARE SOLD OUT.